The first time I came across Hellboy was after a particularly nasty winter storm on a Saturday afternoon in February of 1994. The New York Comic Book Spectacular was being held at at the Javitz Center despite the cruddy weather. Dark Horse Comics was showing off their Legend imprint. Legend was an umbrella for creator owned comics that featured Frank Miller’s Sin City, Miller and Dave Gibbon’s Martha Washington Goes to War, John Byrne’s Next Men, Paul Chadwick’s Concrete, and the debut of Mike Mignola’s Hellboy. See, I went to the show to get John Byrne to sign some X-Men comics, but he got snowed in and wouldn’t be able to make it until Sunday. So, I made my way around the table and was struck by Mignola’s cover to Hellboy # 1. 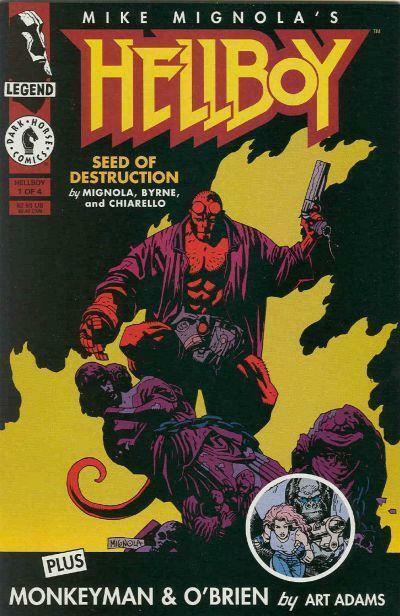 There were a lot of influential comics and creators in that Legends imprint, but Mignola’s line work and Mark Chiarello’s colors on that cover felt like a right hook (of doom) to my eyeballs. Two decades later and it’s still one of my favorite pieces of comic art. Mignola and Chiarello worked together previously on Topps Comics’ adaptation of the Francis Ford Coppola Dracula movie. Say what you will about that movie, but the comic was stunning! The panel layout and the contrast between bright primary colors and heavy black inks felt like a precursor to Hellboy. But that first issue of Hellboy was something else entirely. Part H.P. Lovecraft and part Jack Kirby, Hellboy and the BPRD offered a whole new world that was a breath of fresh air from dead supermen, religious zealots dressed as bats and 5 year old recycled melodrama. 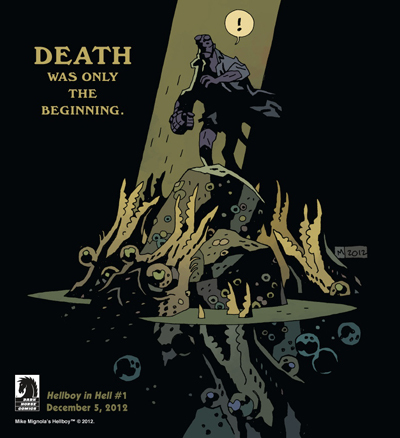 Over the last twenty years, Mike Mignola, his editor Scott Allie and contributors John Arcudi, Dave Stewart, Guy Davis, James Harren, John Byrne, Mark Chiarello, Joshua Dysart, Christopher Golden, Thomas Sniegoski, Ryan Sook and so many more have played a role in building Hellboy, the B.P.R.D. and all the supporting players from the legendary Hyperborean Age to the present “Hell on Earth” story. 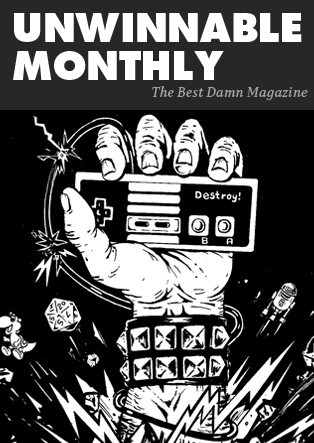 It’s a love letter to weird fiction and the Silver Age of comics. One of the most remarkable things about Hellboy is how much it’s evolved yet kept true to it’s apocalyptic origins. Unwinnable founder Stu Horvath and I have had numerous conversations about Hellboy and the BPRD in regards to both story and form. We are almost always in awe, but we do occasionally question just where some of the sub plots are going. A few months ago, we were talking about the recent arc, “The Abyss of Time.” In that story, a group of BPRD agents are sent to Chicago to investigate an abandoned warehouse that turned out to be a meeting place for the Heliopic Brotherhood of Ra. It also turns out to be the same place where Sir Edward Grey was sucked into Hell whilst stopping the Brotherhood. Anyway, we were talking about how the story seemed to be a filler story, explaining some of the world’s backstory and how it relates to some of the old pulps. Basically, all but one member of the team, Agent Howards, are killed while investigating the room. Howards clutches an ancientHyperborean sword (sort of like the ones seen on the cover of 2002’s BPRD: The Hollow Earth # 2) as he dreams of the First Age. We both really dug the story, but we weren’t quite sure where it fit in the over all story. At least, not until Agent Howards woke up and started killing bad guys like a modern day Conan. 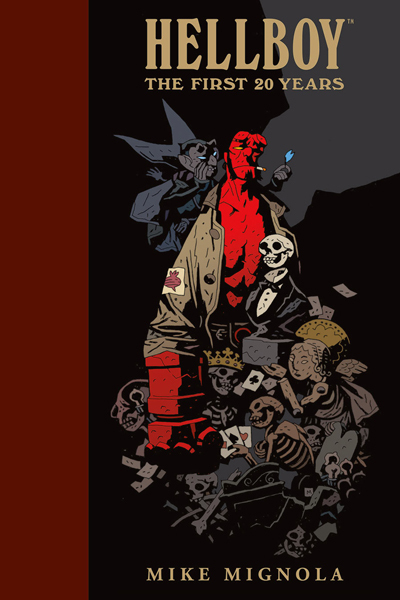 In his introduction to Hellboy: The First 20 Years, illustrator Peter de Sève notes, “Where once he would draw fifty parallel lines along a muscled limb, these days four or five dashes do quite nicely to suggest that a creature is shaggy.” The look of Hellboy and his co-stars have changed over the years thanks to Mignola’s constantly evolving sensibilities. By choosing to use fewer lines, the art in “Hellboy In Hell,” for example, looks more ominous. The same applies to Mignola’s collaborators. James Harren inherited BPRD from macabre master, Guy Davis. Davis’ monsters were always otherworldly, but they clung to the shadows. Harren is drawing a world where the monsters have come out of the darkness and they are as ugly and inhuman as Davis’ but now they are bathed in sunlight. BPRD: Hell on Earth is all the more terrifying for it. It’s a good time to be a Hellboy fan. Mike Mignola is drawing “Hellboy In Hell,” the new Lobster Johnson series, “Get the Lobster,” is thrill to read and Abe Sapien finally has his own monthly title. Twenty years later, Hellboy and the spin-off series continue to make an impression, building, destroying and rebuilding a world. Saturday, March 22 is Hellboy Day. Hit up Ian on Twitter as he will probably be re-reading Seed of Destruction.